A home at 610 High Street was declared unsafe and ordered demolished by the Wabash Board of Public Works and Safety on Thursday, May 17. Building Commissioner John Stephens told the board that the home has been unoccupied for several years and has drawn complaints from neighbors. The yard has been unmaintained and the city has had to mow it since at least 2016, he said. Visitors to the Wabash Riverfront Plaza will now have a better view of the Wabash River, thanks to the efforts of the city and several area organizations, and even students from the Wabash Middle School. 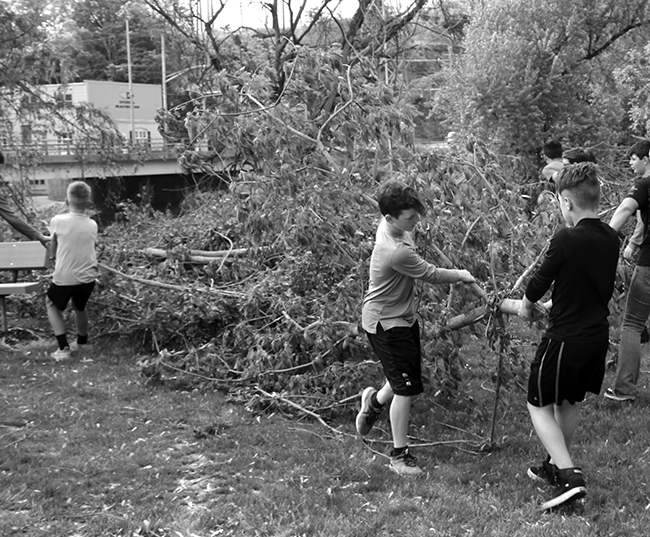 The groups spent Thursday evening, May 17, removing brush from the banks of the river, just west of the Wabash Street bridge. 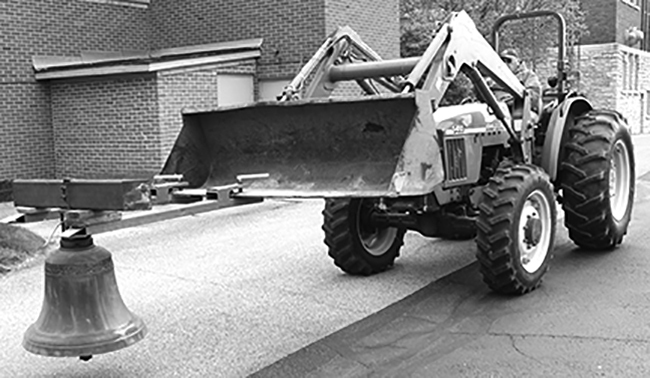 On Friday morning, May 18, the students loaded the trimmings into city trucks to be transported to the city’s brush recycling site. PERU -- Local law enforcement officers, retired state police employees, local government officials, and family members joined troopers from the Indiana State Police Peru Post on Wednesday morning as they paid tribute to the 46 Indiana State Police employees who have died in the line of duty since the department’s inception in 1933. The service started with troopers standing at attention as Capt. Dave Kirkham, Area I commander for the Indiana State Police, read a roll call of the fallen employees. Lt. Jeremy Kelly, commander of the Indiana State Police Peru Post, then provided a brief description of what lead to the fallen employees’ final call. The county commissioners denied a request to vacate an alley in Urbana after a public hearing at their May 21 meeting. Aaron Mattern, representing Urbana Yoke Parish, presented the request to close the alley running parallel to State Road 13 and South Washington Street between Half and College streets as an effort to ensure the church's planned construction projects would not interfere with homeowners who need access to the alley. According to Mattern, who provided photographs and renderings of the proposed addition, the alley has shifted from it original route. Robert Halderman drives the bell to its new location. A bell dating back to the mid-19th century has a new home at the Wabash Presbyterian Church. Perhaps it might be better to say that the bell -- forged in Cincinnati, Ohio, about 1846 by G.L. Hanks for the New School Presbyterian Church which was located in the middle of the block of Wabash Street, across from the Wabash County Courthouse – is back home. Chad Galligan was recently promoted to captain. Patrolman Galligan joined the Wabash City Police Department in 2000, and was promoted to corporal in 2011, a post which he held until 2016. He was promoted to Sergeant in 2016 which he held that position until 2018.